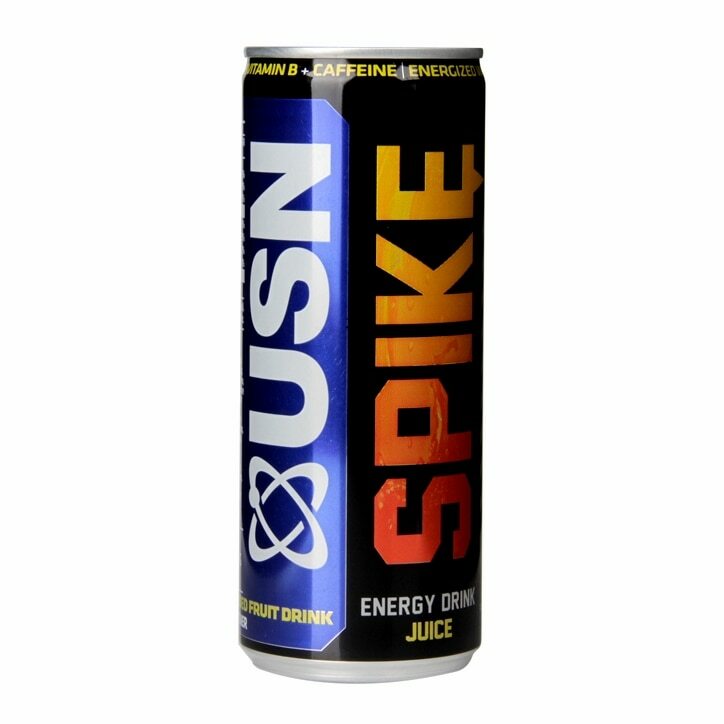 USN Spike Juice has been formulated to enhance mental and physical performance. This effect is accomplished by the combination of 3 vital ingredients: Caffeine, Taurine and Glucuronolactone. Natural mineral water, fruit juice blend (apple, pineapple, passion fruit)(25%), sugar, glucose syrup, carbon dioxide, citric acid, acidity regulators (potassium citrate and sodium citrate), guava pulp, orange extract, flavouring, taurine (0,04%), glucuronolactone (0,04%), caffeine (0,03%), inositol (0,02%), niacin, pantothenic acid, vitamin b6, vitamin b12, non-nutritive sweetener (sucralose), colour (ammonia caramel and riboflavin), preservative (sodium benzoate), l-carnitine (0,004%). USN Spike Juice is rated 4.3 out of 5 by 3. Rated 4 out of 5 by Boshra from Great energy drink I love it. It is very testing and nice flavour But I can not find it at any Holland Barrett shop. Rated 4 out of 5 by BlueonBlue from Spike Juice I tried this as an alternative to energy drinks, which can have phenomenal sugar levels. A pleasant taste and satisfying, however there are still issues with any canned drink, this is fine as a treat, but, excessive consumption is not advised. Rated 5 out of 5 by Seacow from Tastes great This tasted so much nicer than other energy drinks, we really enjoyed them & would definitely buy again.